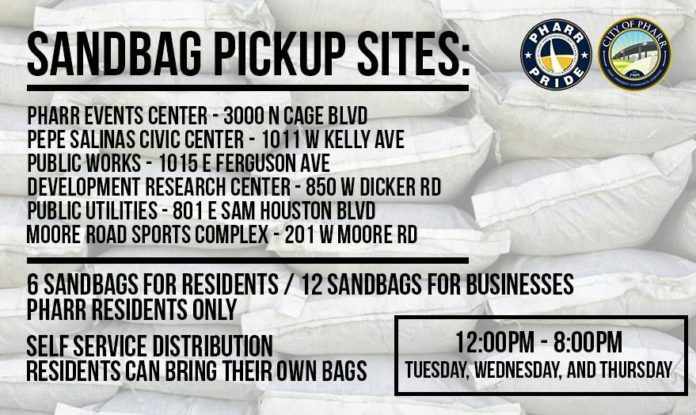 Sandbags are available for pickup noon to 8 p.m. from Tuesday, Sept. 11, to Thursday, Sept. 13, in six Pharr locations. Residents are limited to six sandbags, and 12 for businesses. 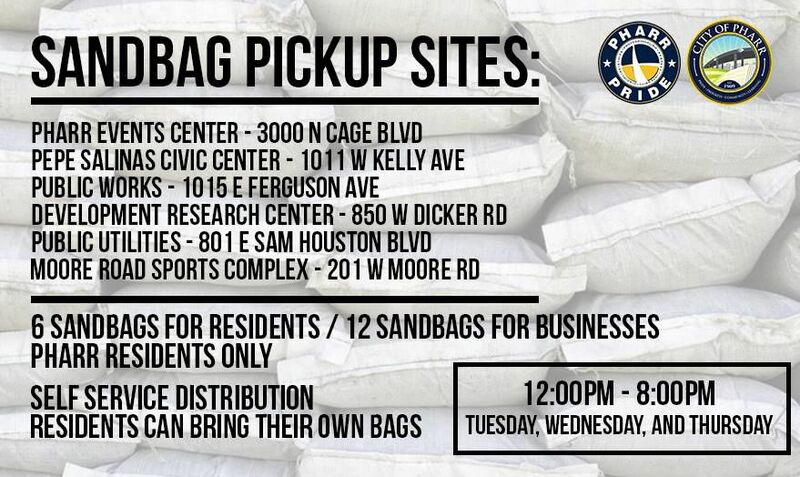 Self-service sandbags require proof of residency, which can be a utility bill.